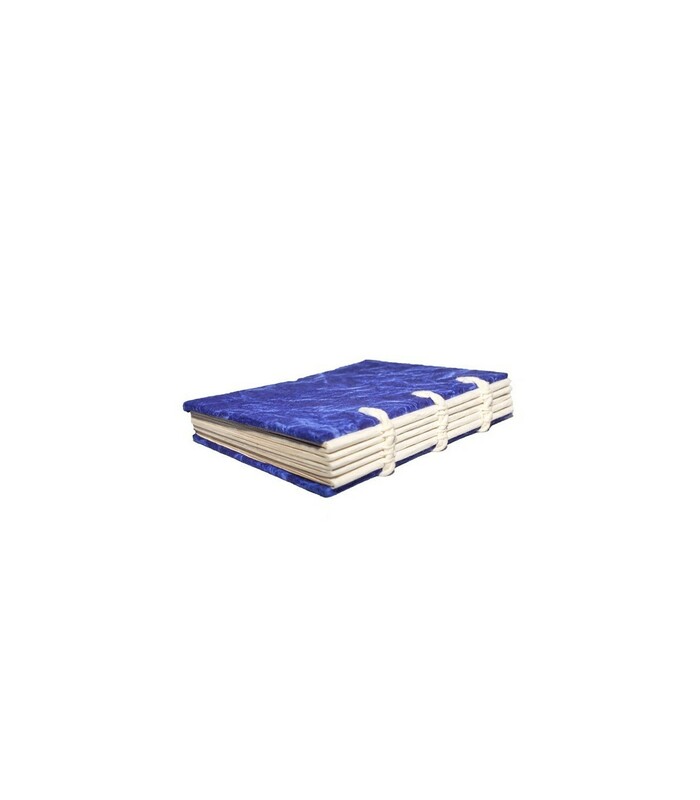 This two blue hard covered note book has been made from Nepali paper (Lokta Paper). Each page has a surface area of 30 square inches and a total page thickness of 1 inch. 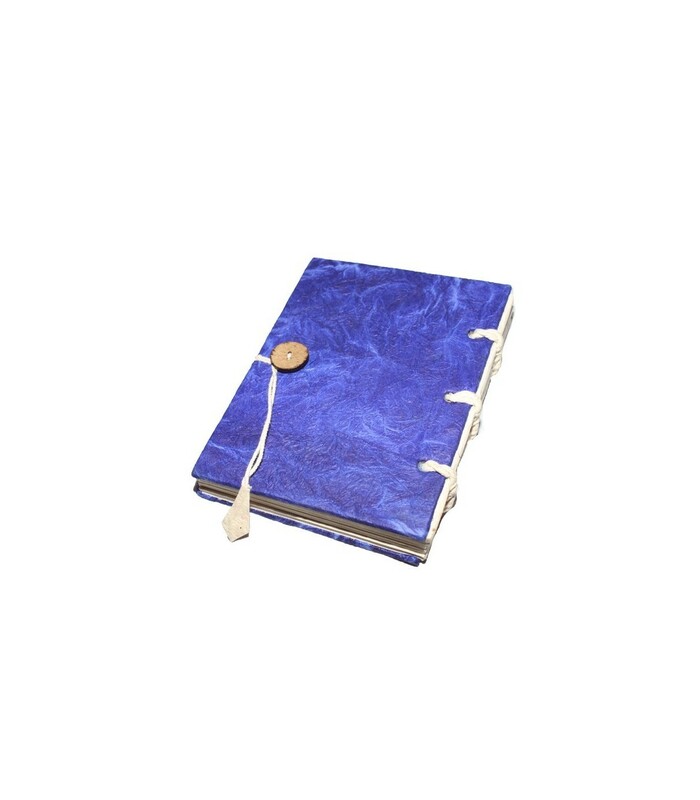 Its two hard covers are bound by a set of three twines with the paper between and a ligenous button is fasten with twine on the other end.